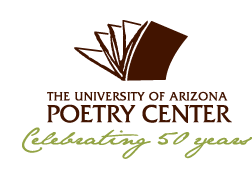 University of Arizona Poetry Center: Each summer, the University of Arizona Poetry Center in Tucson offers a month-long residency, including a stipend of $150 per week, to a poet, fiction writer, or creative nonfiction writer who has published no more than one full-length book. This year one poet & one prose writer will be selected; each will spend two to four weeks in Tucson between June 1 & August 31 developing his or her work. The resident is provided with housing, but is responsible for food, travel, & other expenses. Applications are reviewed by a committee of poets & prose writers comprising UA faculty, Poetry Center staff, & local writers. Submit up to 10 pp. of poetry or 20 pp. of prose with a three-page proposal, resume or CV, and $15 application fee by February 25, 2011.